Troubles me even if I shut my eyes. See me. It bewilders me he doesn't see me. And we start home. Now I am good. Away at school, my sons away at school. My husband away at work--I wish for them. Repeats to me: "You're old." That's all, I'm old. Were my face and body. Is poetry still relevant today? If you ask me, all it takes is one poem like this one to make its case. In "Next day," a Kennedy-era woman reveals her deepest wishes and fears--those she barely admits to herself. I first read this nearly 40 years ago, and it still knocks me for a loop. No wonder Robert Lowell called Jarrell "the most heartbreaking English poet of his generation". 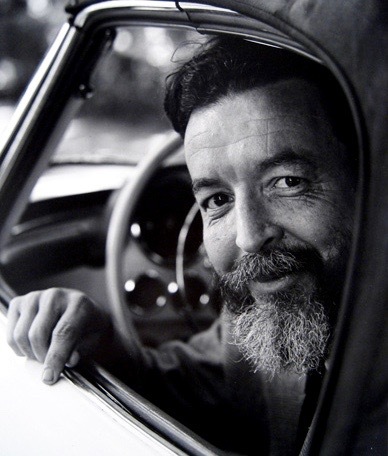 Randall Jarrell reads "Next day"